Dominaria introduces a whole new category of cards: historic! Artifacts, Saga enchantments, and legendary cards are all historic, so you can get an in-game advantage for playing a deck that honors the plane's rich history. 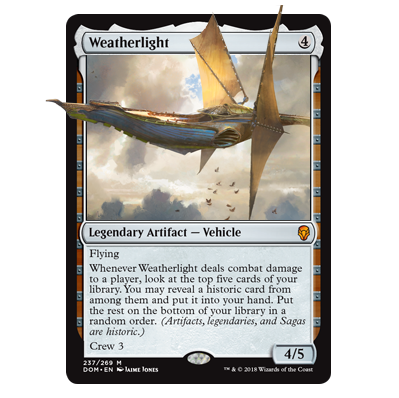 The plane of Dominaria is home to some of the most iconic Planeswalker characters in all of Magic. 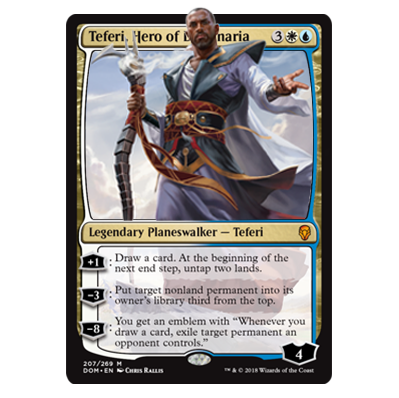 Now, these venerated heroes have returned for a new chapter of their legendary stories, with badass new planeswalker cards to show off their powers. 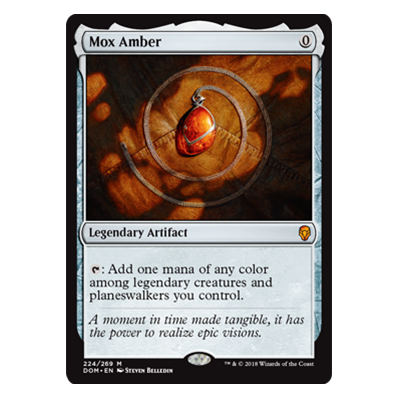 Yes, that really is a new Mox! In addition to some super-sweet reprints, Dominaria is full of nods toward the cards and stories that defined the early era of Magic. Dominaria is overflowing with Magic history, including reprints of some all-stars from past sets, including Goblin Warchief, which is one of the best possible enablers of the time-honored "throw a billion Goblins at your opponent" strategy. A Saga is a brand-new kind of enchantment that tells a multi-part story and weaves it directly into gameplay. If you make it to the end of your epic tale, capitalize on the powerful final effect to swing the game in your favor! Fan-favorite characters return to the spotlight with new cards and new abilities! Kicker is back! This returning mechanic lets you pay an optional additional cost when you cast a spell, adding more power or extra effects on top of the card's default effect. 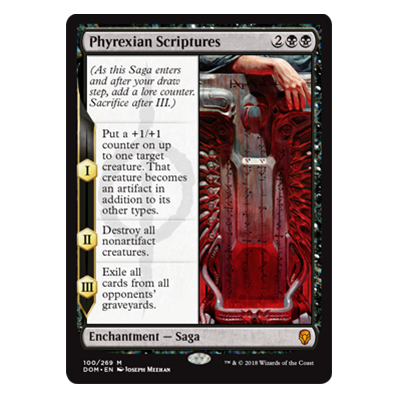 Legendary sorceries are powerful, game-changing spells that you can only cast if you control a legendary creature or planeswalker. Combine heroic characters and memorable spells to write your own grand story on the battlefield! Each booster pack includes 15 cards to add to your collection, and you can expect one of those 15 to be a rare or mythic rare! Some packs even contain a premium foil card! Pick up a brand-new, battle-ready Planeswalker Deck today. Choose between the cool-headed strategy of Teferi, Timebender and the all-out fiery assault of Chandra, Bold Pyromancer! Each bundle contains 10 Dominaria booster packs to add to your collection. Gather a team of legendary heroes and build a deck stacked with the tools you need to tackle any challenge! 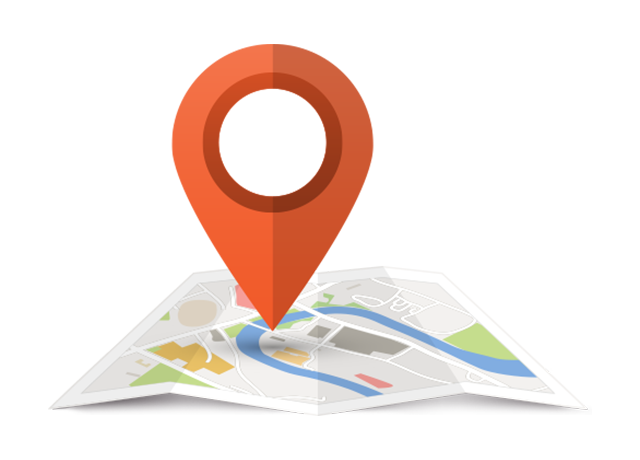 Become the champion of your favorite game store. A casual, fun event at your local store with great prizes. Play your way! At home, at a store... anywhere. Draft the newest cards all weekend at your favorite game store. Be the first to play with new Dominaria cards! Show up, get a free Welcome Deck, and play Magic with other newer players. 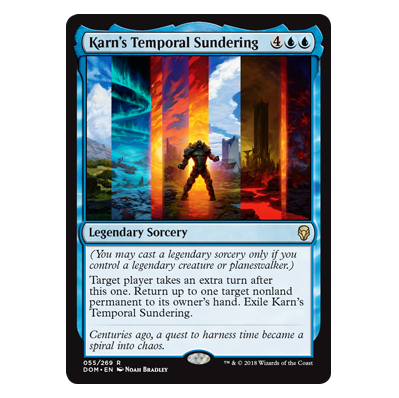 The mystery of Chandra's disappearance is answered and she finds herself caught up in the legacy of Dominaria's darkest past.